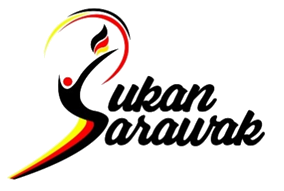 Sarawak Sports Corporation will officially use your Personal Information solely for providing and improving the Site. By using the Site, you are explicitly agreeable to the collection and use of information in accordance with this policy. While using Sarawak Sports Corporation’s website, we may ask you to provide us with certain personally identifiable information that can be used to contact or identify you. Personally identifiable information may include, but is not limited to your name (“Personal Information“). Like many site operators, Sarawak Sports Corporation shall collect and gather information that your browser sends whenever you visit our website (“Log Data“). This Log Data may include information such as your computer’s Internet Protocol (“IP”) address, browser type, browser version, the pages of our website visited, the time and date of such visits, the time spent on those pages and other relevant statistical data. In addition, Sarawak Sports Corporation may use third party services such as Google Analytics that collect, monitor and analyze the data for improvement works and upgrading of its website. We may use your Personal Information to contact you with regards to distribution of promotional newsletters, marketing or other relevant materials and other information that may be of interest and mutual benefits. Like any other websites, Sarawak Sports Corporation may use “cookies” to gather relevant information. You may instruct your browser to refuse all cookies or to indicate when a cookie is being sent. However, if you do not accept cookies, you may not be able to use some portions of Sarawak Sports Corporation website. The security of your Personal Information is very important but you must be aware that no method of transmission over the Internet, or method of electronic storage, is 100% secure. Sarawak Sports Corporation shall strive to use commercially acceptable means to protect your Personal Information but still it cannot guarantee its absolute security.